Draft: 2010, Los Angeles Dodgers, 11th rd. Joc R. Pederson…resides in Los Angeles, CA with wife, Kelsey and daughter Poppy…committed to play baseball at the University of Southern California prior to signing with the Dodgers…father Stu was drafted by the Dodgers in 1981 and played in eight games in the Majors in 1985...teamed with his brother Champ, who has Down syndrome, and New Era to design a hat with the family motto "Live like a Champ" with 31% of sales benefitting Best Buddies, a charity supporting people with intellectual and developmental disabilities…brother, Tyger, an infielder, was selected by the Dodgers in the 33rd round of the 2013 draft...selected by the Dodgers in the 11th round of the 2010 First-Year Player Draft and signed by scout Orsino Hill. In his fifth big league season, he slashed .248/.321/.522 with 65 runs, 27 doubles (career-high), three triples (career-high), 25 home runs and 56 RBI in 148 games ... In 59 games as the leadoff hitter, posted a .309 (17-for-55)/.356/.818 slash line with two doubles and eight home runs…his eight leadoff homers were tied for the second most in the Majors with the Braves' Ronald Acuña Jr. and the Cardinals' Matt Carpenter, while trailing just the Indians' Francisco Lindor for the most (9)…also broke the Dodgers leadoff home run record, surpassing Davey Lopes, who hit seven in 1979… hit a leadoff home run in back-to-back games on August 2-3, joining Carl Furillo as the only Dodgers to accomplish the feat (July 12 and 13, 1951) - Source: Stats LLC ... Hit .260 against right-handed pitchers, compared to a .170 batting average against lefties…hit 24 of his 25 home runs off right-handers ... Saw time at all three outfield positions, appearing in 116 games in left field, 32 games in center field and two games in right field…also collected six outfield assists, which tied for the 16th most in the NL ... Collected a career-high four hits three times (April 28 at SF, June 2 at COL and July 24 at PHI)…his three four-hit games were the most on the team and tied for the eighth most in the NL ... Appeared in all 16 of the Dodgers' Postseason games, going 8-for-39 (.205) with six runs, a double, two homers and two RBI…hit safely in each game of the NLDS vs. Atlanta to extend his Postseason hitting streak to 10 games, batting .313 (10-for-32) with three doubles, four homers and six RBI during the run, which began in Game 2 of the 2017 World Series vs. Houston. Spent majority of the season with Los Angeles, hitting .212 with 44 runs, 20 doubles, 11 home runs and 35 RBI along with a .331 on-base percentage in 102 games...Stroked 10 of his 11 home runs off of right-handed pitchers...Appeared mostly in center field throughout the season (92 games), but also played four games in left field... posted a .993 fielding percentage in the outfield, recording just one error in 676.2 innings...Drove in a career-high five runs and slugged the Dodgers first homer of the 2017 season with a grand slam in the third inning on Opening Day...it was the first Dodgers OD grand slam since Eric Karros, who accomplished the feat on April 3, 2000 at Montreal and his five RBI were the most by a Dodger in a season-opener since Raul Mondesi, who recorded six RBI on April 5, 1999 against Arizona...Made two different disabled list stints: placed on the 10-day disabled list on April 24-May 5 with a right groin strain and was placed on the seven-day concussion DL from May 24-June 13...Appeared in a combined 20 games with Single-A Rancho Cucamonga and Triple-A Oklahoma City, going 12-for- 72 (.167) with one doubles, three homers and nine RBI...Made the Dodgers NLCS and World Series roster during the clubs postseason run, slashing .304 (7-for- 23)/.360/.826 with seven runs, three doubles, three home runs and five RBI in 11 games...during the World Series, he hit .333 (6-for-18) with six runs, two doubles, three homers and five RBI along with a .944 slugging percentage in six games...became just the fourth player (fifth time overall) in Dodger history to collect at least three homers in a single WS, joining Duke Snider (4 HR, 1952 and 1955), Reggie Smith (3 HR, 197 7) and Dave Lopes (3 HR, 1978)...according to STATS LLC., also became just the first player in Major League history to collect a hit and run scored in each of his first six career WS games and became just the fourth player to record 1+ hit and 1+ run in six-plus games in a single World Series, joining George Kelly (6 in 1924), Ron Fairly (7 in 1965) and Willie Stargell (6 in 1979). Posted a .847 OPS, batting .246 with a .352 on-base percentage, a .495 slugging percentage, 26 doubles, 25 homers and 68 RBI in 137 games...Tied for 10th among NL outfielders with 25 home runs…according to ESPN's Home Run Tracker, averaged 412.1 feet per home run, the seventh-longest in the Majors…led the Dodgers and ranked 14th in the Majors with a 93.2 average exit velocity (Source: Baseball Savant) ...Batted .281 with runners in scoring position...Saw an average of 4.18 pitches per plate appearance, the 10th most in the NL (min. 400 AB) and drew a walk every 7.56 plate appearances (8th, NL)...Placed on the DL from July 1-19 with a sprained right AC joint, suffered in a collision with the outfield wall June 28 at Milwaukee...Went 9-for-36 (.250) with five runs, two doubles, a homer and four RBI in 11 postseason games...had the game-tying home run off Max Scherzer in the seventh inning of NLDS Game 5, which ignited the Dodgers' rally. Appeared in 151 games in his first full Major League season, batting .210 with 26 home runs and 54 RBI. ... Tied with Chicago's Kris Bryant for the most home runs by a MLB rookie with 26, which rank as the second-most by a rookie in Dodger franchise history, behind only Mike Piazza's 35 in 1993. ... In addition to home runs, also led MLB rookies in walks (92) and ranked among the NL's best rookies in runs (67, 3rd), hits (101, 10th), doubles (19, T-10th), RBI (54, T-6th)…ranked second with 170 strikeouts…his 92 walks were the third most ever by a Dodger rookie behind only Jim Gilliam (100, 1953) and Billy Grabarkewitz (95, 1970). ... Averaged 421.7 feet on his 26 home runs, the longest average distance of any MLB hitter this year (min. 18 HR) according to ESPN Home Run Tracker. ... Homered in five consecutive games from May 31-June 3, setting a Dodgers rookie record and tying Roy Campanella (1950), Shawn Green (2001) and Matt Kemp (2010) for the franchise record for consecutive games with a home run. ... Hit 20 of his 26 home runs before the All-Star break, while batting .230 (69-for-300) in 89 games, before struggling in the second half (.178, 21-for-180, 6 HR) … his 20 home runs were the second most ever for an NL rookie before the All-Star break, behind only the 21 hit by Dave Kingman (1972, SF) and Albert Pujols (2001, STL). ... Earned an All-Star selection, via player balloting, becoming the first Dodger rookie All-Star since Hideo Nomo in 1995 and the first rookie position player to earn a selection since Mike Piazza in 1993…was the first Dodger rookie position player to start in the Midsummer Classic, batting eighth in left field…in addition to Nomo and Piazza, the only other Dodgers to earn a rookie All-Star selection were Don Newcombe (1949), Fernando Valenzuela (1981) and Steve Sax (1982). ... Was the runner-up to the Reds' Todd Frazier in the Home Run Derby…was the seventh different Dodger to participate in the Derby and second Los Angeles rookie to participate in the event (Mike Piazza, 1993)…joined the Cubs' Kris Bryant as the seventh/eighth rookies to participate in the event. ... Averaged 4.21 pitches per plate appearance, the sixth-most in the Majors. ... Made his first Opening Day roster and his first Opening Day start on April 6 vs. San Diego…played exclusively in center field, committing four errors (.986 fielding percentage) and picking up five assists in 1,223.0 innings over 147 games (137 starts). ... Blasted his first big league home run on April 12 at Arizona with a sixth-inning solo shot of A.J. Schugel…hit his first grand slam on May 1 off Arizona's Rubby De La Rosa at Dodger Stadium. ... Recorded his first multi-home run game on May 6 at Milwaukee, two solo shots off Wily Peralta in the fifth and eighth innings. ... From April 27-May 6, all seven of his hits were home runs, becoming the first Major Leaguer to pull off the feat since Jay Bruce (June 16-22, 2013) and the first Dodger to do so since Hee-seop Choi (June 10-14, 2005). ... Appeared in all five of the Dodgers' NLDS games vs. New York, including two starts in center field…went 0-for-4 with four walks. ... Selected as the Dodgers' 2015 Heart and Hustle Award winner by the Major League Baseball Players Alumni Association. Honored as a 2013 Double-A Southern League Mid-season and Postseason All-Star and also selected to the MLB All-Star Futures Game, batting .278 with 22 homers and 58 RBI in 123 games for Chattanooga...Led the Southern League with a .497 slugging percentage and ranked among the league leaders in home runs (22, T-2nd), stolen bases (31, T-3rd), OBP (.381, 3rd), slugging (.497, 1st), extra-base hits (49, T-4th), runs scored (81, 2nd), total bases (218, 5th) and walks (70, 4th)...Batted .316 against right-handed pitchers (93-for-294) and hit 20 of his 22 homers against righties...Won the April Dodger Pride Award for Chattanooga and during the month tied for seventh in the Southern League with a .304 batting average while hitting a league-leading six home runs in 24 games…also posted a 17-game hitting streak from April 7-24 and hit safely in 19 of 24 April games...named the Southern League Offensive Player of the Week for April 15-21, batting .407 (11-for-27) with five RBI in seven games...Selected as the Dodger Pride Award winner for August, when in 26 games, he ranked among the monthly Southern League leaders in home runs (7, T-3rd, walks (19, 4th) and OBP (.397, 11th)…named the Southern League Player of the Week for the period of August 12-18, batting .435 (10-for-23) with three home runs and eight RBI in six games...Following the season, played for Cardenales de Lara in the Venezuelan Winter League. In 2012 was selected as the Dodgers' Branch Rickey Minor League Player of the Year, batting .313 with 26 steals, 26 doubles, four triples, 18 homers and 70 RBI in 110 games for Single-A Rancho Cucamonga...ranked among the California League leaders in batting average (8th), on-base percentage (.396, 6th) and slugging percentage (.516, 9th)...Selected to play for Team Israel in its 2012 World Baseball Classic qualifier. In 2011, was selected as a Topps/Minor League Baseball Short Season-A/Rookie All-Star in his first professional season, combining to hit .323 with 11 homers and 65 RBI in 84 games with Single-A Great Lakes and Rookie-Advanced Ogden...Was also recognized as a 2011 Pioneer League All-Star and a Baseball America Rookie All-Star. Selected by the Dodgers in the 11th round of the 2010 First-Year Player Draft. October 14, 2017 Los Angeles Dodgers activated LF Joc Pederson. October 6, 2017 Los Angeles Dodgers reassigned LF Joc Pederson to the minor leagues. September 5, 2017 Los Angeles Dodgers recalled LF Joc Pederson from Oklahoma City Dodgers. August 19, 2017 Los Angeles Dodgers optioned LF Joc Pederson to Oklahoma City Dodgers. June 13, 2017 Joc Pederson roster status changed by Los Angeles Dodgers. June 9, 2017 Los Angeles Dodgers sent CF Joc Pederson on a rehab assignment to Oklahoma City Dodgers. June 2, 2017 Los Angeles Dodgers placed CF Joc Pederson on the 10-day disabled list. Concussion. May 25, 2017 Los Angeles Dodgers placed CF Joc Pederson on the 7-day disabled list retroactive to May 24, 2017. Concussion. May 5, 2017 Los Angeles Dodgers activated CF Joc Pederson from the 10-day disabled list. May 1, 2017 Los Angeles Dodgers sent OF Joc Pederson on a rehab assignment to Rancho Cucamonga Quakes. April 24, 2017 Los Angeles Dodgers placed CF Joc Pederson on the 10-day disabled list. Right groin strain. July 19, 2016 Los Angeles Dodgers activated CF Joc Pederson from the 15-day disabled list. July 15, 2016 Los Angeles Dodgers sent OF Joc Pederson on a rehab assignment to Oklahoma City Dodgers. July 1, 2016 Los Angeles Dodgers placed CF Joc Pederson on the 15-day disabled list retroactive to June 29, 2016. Sprained right AC joint. October 17, 2014 OF Joc Pederson assigned to Leones del Escogido. October 13, 2014 Los Angeles Dodgers activated CF Joc Pederson. October 3, 2014 Los Angeles Dodgers reassigned CF Joc Pederson to the minor leagues. 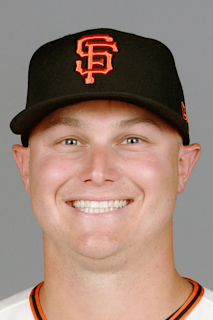 September 1, 2014 Los Angeles Dodgers selected the contract of CF Joc Pederson from Albuquerque Isotopes. July 9, 2014 Albuquerque Isotopes activated CF Joc Pederson from the 7-day disabled list. April 1, 2014 OF Joc Pederson assigned to Albuquerque Isotopes from Chattanooga Lookouts. February 6, 2014 Los Angeles Dodgers invited non-roster CF Joc Pederson to spring training. October 9, 2013 OF Joc Pederson assigned to Cardenales de Lara. March 1, 2013 OF Joc Pederson assigned to Los Angeles Dodgers. September 7, 2012 OF Joc Pederson assigned to Chattanooga Lookouts from Rancho Cucamonga Quakes. May 2, 2012 Joc Pederson assigned to Rancho Cucamonga Quakes from Ogden Raptors. April 23, 2012 Joc Pederson assigned to Ogden Raptors from Rancho Cucamonga Quakes. April 16, 2012 Joc Pederson assigned to Rancho Cucamonga Quakes from Ogden Raptors. March 23, 2012 OF Joc Pederson assigned to Los Angeles Dodgers. June 20, 2011 Joc Pederson assigned to Ogden Raptors from Great Lakes Loons. May 27, 2011 Joc Pederson assigned to Great Lakes Loons from AZL Dodgers. March 6, 2011 OF Joc Pederson assigned to Los Angeles Dodgers. August 19, 2010 Joc Pederson assigned to AZL Dodgers. August 16, 2010 Los Angeles Dodgers signed OF Joc Pederson.